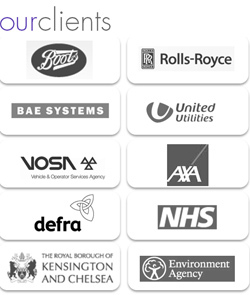 Read our latest document scanning case studies to find out how Cleardata is helping UK businesses to go paperless, reduce costs and improve efficiencies. 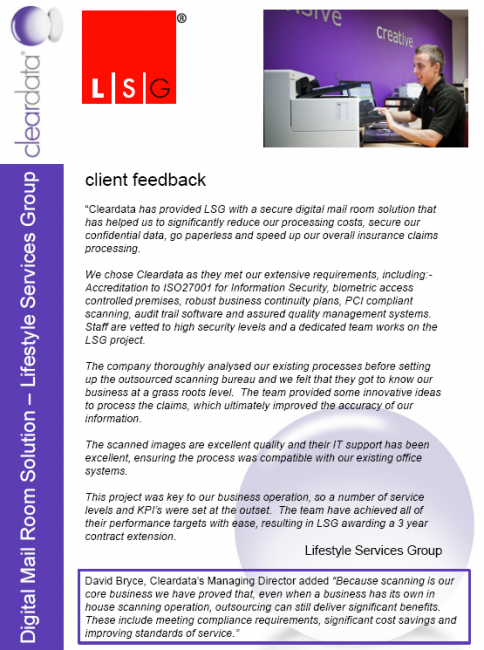 Cleardata provides mail room scanning solutions for Lifestyle Services Group (LSG), one of the UK’s leading providers of mobile device insurance in the UK, serving over 8.5 million customers. 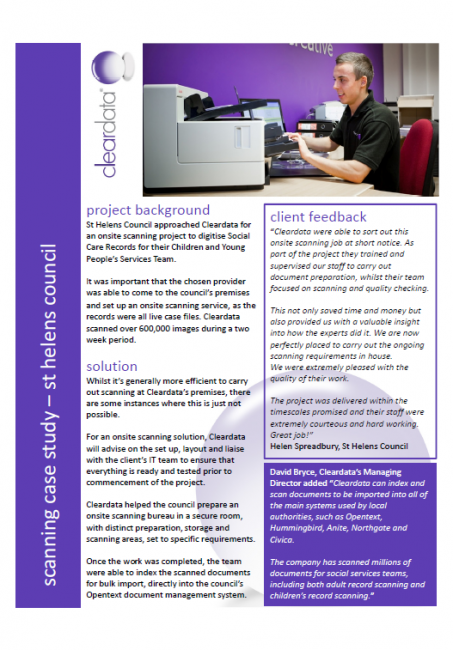 Cleardata delivered an onsite scanning service, capturing social services records for St Helens Council. 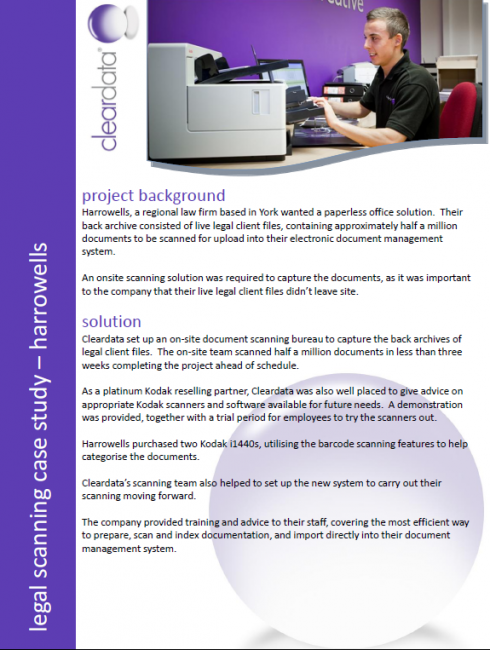 Cleardata provided onsite scanning, training and consultancy services to legal firm Harrowells.